Hello there hope you are having a fab day. I am under pressure a bit, this week is manic for me but I am looking forward to the end of it as is Luca’s 4th birthday and this means one thing ITS PARTY time !!!! 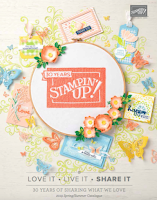 I am only sharing some sneak peeks today as nearly all my crafting right now is with new stuff that I cannot show you yet. However all will be revealed in good time. Yesterday I spent some time bagging up my kits for Sunday’s Club, yes I need to work ahead of time as I also have a workshop this week and a big birthday cake to do. If you wish to join us drop me an email at telemech01ataoldotcom. Each month we make 8 Christmas cards and by the time December comes we would have built a nice collection of regular cards, leaving us with some fun time to design and create those special one that require extra detail and a bit more time , fun!! And I feel so smug right now to have so many of my cards done ahead of time, it feels good to know I won’t be running around in December doing them( only I KNOW I will still be running around trust me). And I am spending more time with my Thermomix, I am still amazed at how easy and fast it is to cook delicious soups, sauces, breads, cakes with this incredible machine. My fresh salads take 6 seconds once I add everything to the bowl including my dressing. I can mill my own icing sugar in 20 seconds flat so no longer do I have to pay nearly double for it. The fresh sorbets are to die for, again made really fast in just 1 minute. Ice creams are a doodle with this machine as well, and as I learn more and more about it is clear that if you have any allergies or food intolerances then this machine will change your life for the better, for gluten free diets you can mill your own gluten free grains to make delicious breads and biscuits with ease and do not feel like you have to eat the saw dust like limited choice of produce available in shops. I’ll stop now as I could go on forever LOL but will leave you with some photos of my yummies. I cooked a delicious pancetta and lentils soup for lunch with home made rolls. I love making my own bread and I bake twice a week, well the machine kneads my dough for 1 minute I leave it alone to prove in the bowl knead it in the machine for another minute shape and leave alone for 30 min then bake for 20. And I get on with my life and work in between all this, so easy and we enjoy fresh and additive free bread(saying that I don’t often eat bread myself although I love to sniff it LOL). In the last 2 weeks we didn’t eat 2 meals the same. I can now be adventurous and cook things I would have never attempted before and I always cooked fresh and healthy before the machine. Saturday night used to be takeaway night but instead I cooked a delicious 5Spice pork with rice and vegetable meal, it was really lovely, very healthy and we saved ourselves about £15. The food looks Fabulous....i can smell it from Here !!!!! Yummy! I just wish they sold them in the United States....maybe someday. Dear Monica, I love your blog. And I know what you´re talking about making fresh food. My Thermomix is 3 month. I love it. 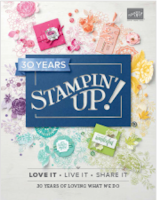 And now, the new catalog is coming, I have more Time for stampin. cor anyone would think you were a thermomix demo lol!